Do you need your radiator looked at? Don’t have time to book into your local mechanic? Looking for a more convenient way? 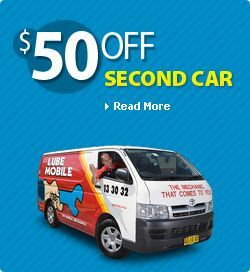 Lube Mobile is the mechanic that comes to you! Leaking coolant – immediate problem that needs fixing straight away! Lube Mobile’s fully qualified mechanics will arrive at a place which is most convenient for you and at a time that suits your life. We are equipped for all of your vehicle repairs, maintenance and service needs arriving with tools to get the job finished on time and on budget. Logging on to the Lube Mobile’s online booking system will have your mechanic and time slot sorted out in minutes. We need only a couple of pieces of quick and easy information regarding your vehicle’s make, model and age. We can provide you with a cost for your repairs and you will recieve a confirmation of your booking via email or text or both. We use only the best quality parts and spares, including oils, fluids and coolants – no exceptions! All of our service work and vehicle repairs come with a nationwide 12 month/20,000km warranty. You will get all prices in writing before we start work on your car. If you’re looking for the most convenient and best quality mechanic work for your vehicle, contact Lube Mobile now. For more information call us on 13 30 32 or simply book online. Enter your postcode in the box above to see when we can come and replace your radiator ! Dean was fantastic and the quailty of service we recieved was exceptional. I will be using your services in the future and highly recommend you. My vehicle was back on the road within 24 hours of my initial enquiry. Kylie, Radiator Repair Canberra.